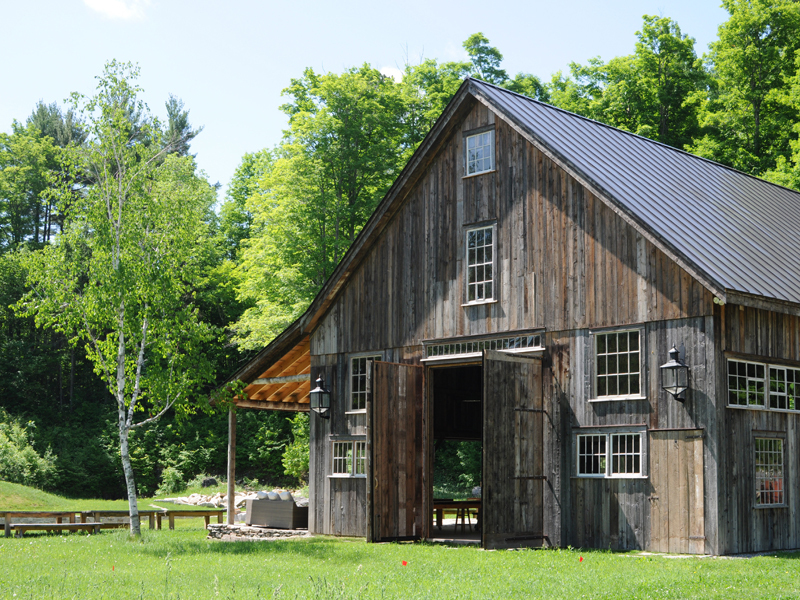 The barn at Marble House Project is used for concerts, artist installations, literary readings. performances and farm to table dinners with our culinary artists. We also use it for workshops, meetings, yoga and other community events. The Barn at Marble House Project was originally a dairy barn built in Waterville Vermont in 1870. In 2014 it was moved to Dorset and rehabilitated. The barn is 40 feet wide by 50 feet long. In addition, it has a stone porch with covered roof. On one side of the barn is the swimming quarry and on the other side is the organic farm. The event barn has a secondary barn behind it that has a prep kitchen, composting bathrooms, and storage. 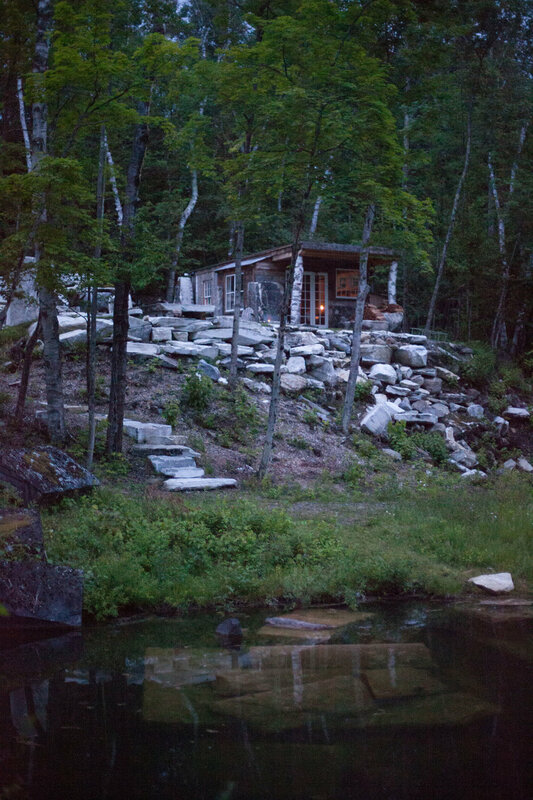 The Marble Getaway cabin (or Natgeo Cabin) is sited in the old production quarry, now defunct. The cabin is used as a getaway where artists can swim, build camp fires or just be alone. Artists spend time contemplating, collaborating and working and it is often used for site specific work. The cabin was built in 2014 by the "Building Wild" team at National Geographic.